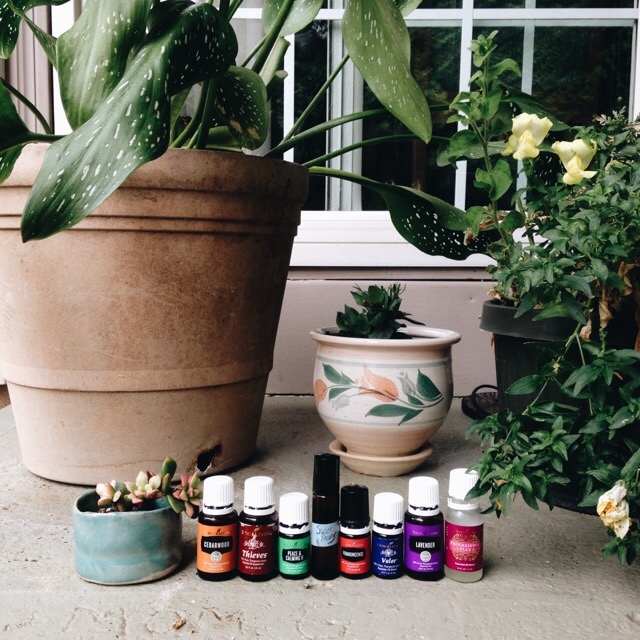 Aromatherapy can help you in so many ways, including getting better sleep. I am a night owl, and the later I stay up, the more trouble I have falling asleep. 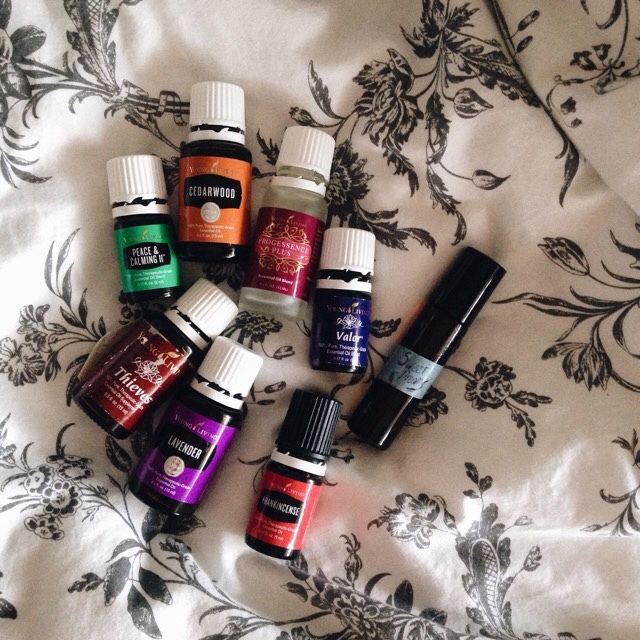 Each of these oils serves a purpose in my nightly oily routine, and with these oils, I have been achieving better sleep. I made a roller ball blend for travel because I often have trouble falling asleep anywhere else but home. With the help of Cedarwood, it helps release melatonin, which is a natural chemical your brain releases to help you ease into sleep. I often use it at home too when I pull a late night, or have restless legs. It helps me calm my restless legs, and busy mind in order for me to fall asleep. I love the roller blend, I call it "Sweet Dreams," and it is a blend of Lavender, Cedarwood, and Frankincense with fractionated coconut oil. It is so, so helpful! 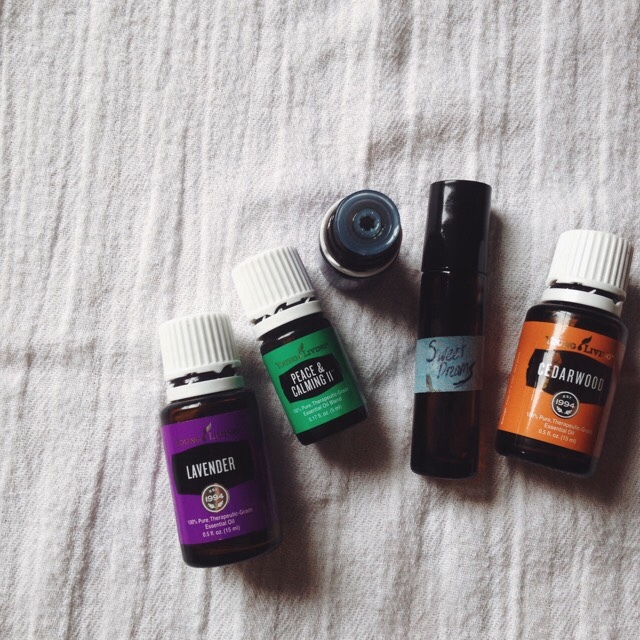 Often at night, I put my diffuser on with lavender and cedarwood. This is the ultimate sleep aid! I fall into a deep sleep minutes after my head rests. It is amazing the effect that scents have on our olfactory system. Lavender is paired with Cedarwood for a calming effect that will ease you into a peaceful sleep. No restless leg, no laying awake in bed for hours trying to sleep, no counting sheep, just a restful, peaceful sleep. Here is my nightly oily routine; oils applied in the order written. Progressence Plus- This oil blend/serum can be applied twice a day. With the scent of Sacred Frankincense, it is calming and relieves any anxiety you may be going to bed with. I apply Pro Plus to the back of my neck, to my heart, and on either forearm. Progressence Plus is a great oil blend for women's health, and I believe it has done me some good. I used to go to bed anxious, stressed out, and irritated, but with a few dabs of Pro Plus, I have a peaceful, less anxious sleep. Valor- I apply Valor to my heart, and under my big toe for better sleep. That is also a trick to get someone to stop snoring, but I do not suffer from that. The sprucy scent of Valor is calming, grounding, and helps ease me into a peaceful sleep. It helps lower anxiety, and I find myself sleeping better. Basically, ever since I have started doing this oily routine, I have a far better sleep. Peace & Calming II- A spin off of the original Peace & Calming, it smells similar to the original, and it has such a beautiful, calming scent. I like to apply P&CII to the bottoms of my feet, to my chest, and to the upper part of my wrists. It is literally calming and peaceful. I also like to diffuse this after I get home from work to prepare me for a better night's sleep. Frankincense- Frankincense is one of my favorite scents. It smells so good, and is truly the best anxiety and stress reliever. I put a roller ball on the bottle, and I roll it behind my ears and my wrists to promote stress relief and better sleep. Lavender- One of the best known calming scents out there, Lavender is certainly a star in the nightly oil routine. It calms jitters and nerves in order to settle down for a restful night. When you are pumped up about a project, or can't seem to quiet your mind from loud thinking, Lavender is great to calm that voice, and save those busy thoughts for the morning. 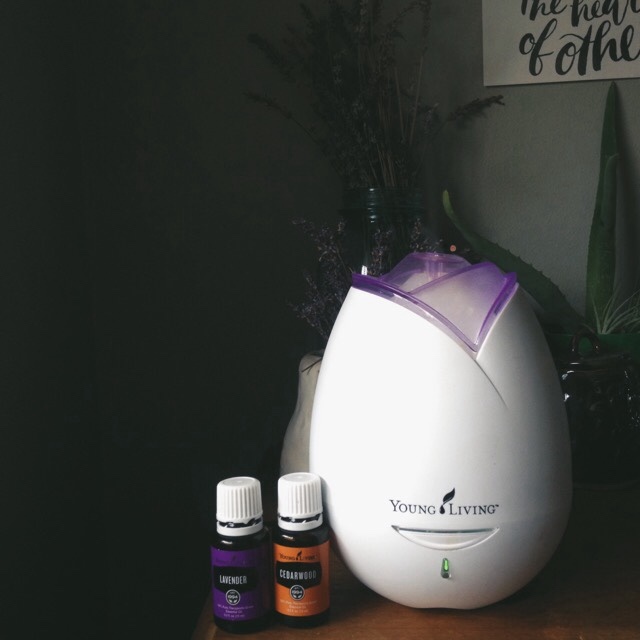 As I said above, I often like to put Lavender in my diffuser with Cedarwood, or use it in the roller ball for travel, and quick sleep aid. Cedarwood- Another great oil known for sleep aid. When you inhale cedarwood, it helps release melatonin. As said above, melatonin is a natural chemical that your brain releases to help ease you into sleep. It is also calming, and relieves stress. Thieves- I like to rub Thieves on the bottoms of my feet to boost my immunity. It is just a morning and nightly tradition that I like to follow. It doesn't aid in sleep, but I like to boost my immunity as much as I can, and a little Thieves at night can help prevent you from getting sick. My oily routines are important to me. 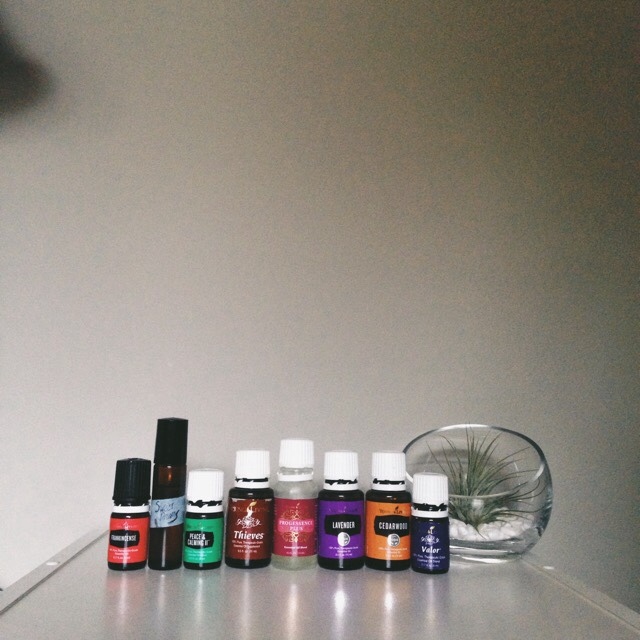 When I began to use Young Living essential oils almost a year ago, I didn't know how much they would become a part of my lifestyle. The more I learned, and the more I used them, I knew they would become a permanent part of my lifestyle. I am forever grateful for these littles bottles of goodness. They have helped me get back to normal, and help me achieve better sleep. 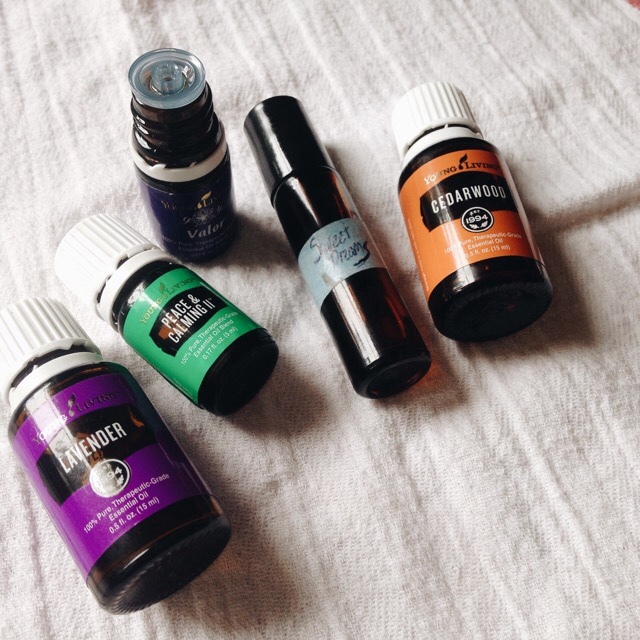 What is your nightly oil routine?